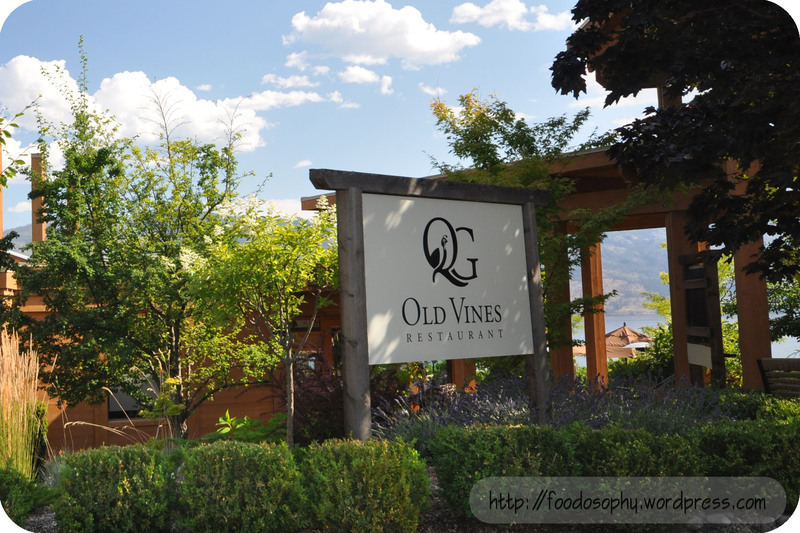 Located on the stunning grounds of the Quails’ Gate Winery, is the Old Vines Restaurant. Having heard many good reviews from close friends, and finally had the chance to get out to Kelowna, we were excited for the chance to enjoy the sun & water, the local food & wine, and take-in the incredible views. Unfortunately due to some last-minute scheduling changes, we didn’t have a chance to book reservations and were “winging it” for most of our trip (which admittedly is my preferred method of travel). After a lengthy stop in the wine shop to sample some (I should be honest – ALL) of their wines, and subsequently hauling boxes of my purchases to the vehicle, we peeked over at the restaurant to see if we could secure a table for the evening. Thinking that we didn’t have much of a chance for a table at such short notice, we were pleasantly surprised to find they could squeeze us in for a late dinner. In this case, it was truly better late than never! 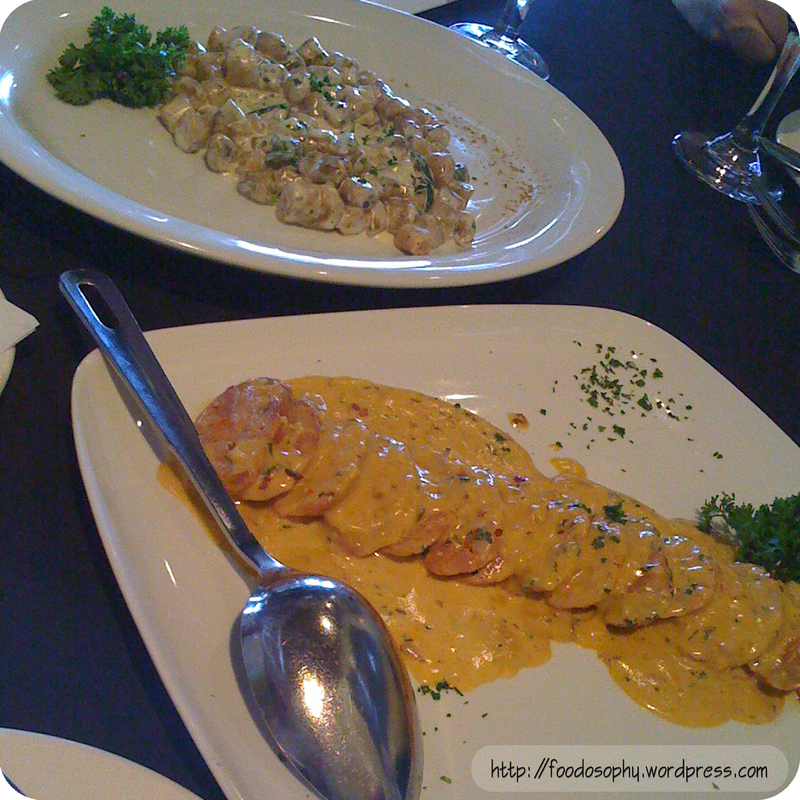 I was introduced to Gnocchi’s during a business lunch a few years back, and it continues to be a favorite spot to enjoy a glass of wine and some fantastic food while we pretend to work over the lunch hour. “The trouble with eating Italian food is that five or six days later you’re hungry again.” George Miller. As we are usually only here for lunch, we tend to skip appetizers in favor of a bottle of wine – but we decided to splurge today and start with the Italian sausage in a mustard brandy cream sauce. I can’t repeat some of the inappropriate comments made by my colleagues over how amazing this sauce is, but trust me – it truly was fantastic, and there was not a drop left anywhere in sight. Two days to refresh my first-aid training at the St.John Ambulance centre, and two pubs within viewing distance, meant an opportunity to conduct a head-to-head pub-food battle. After a long morning of tying splints, we headed across the street to Sneaky Pete’s Bar and Grill. 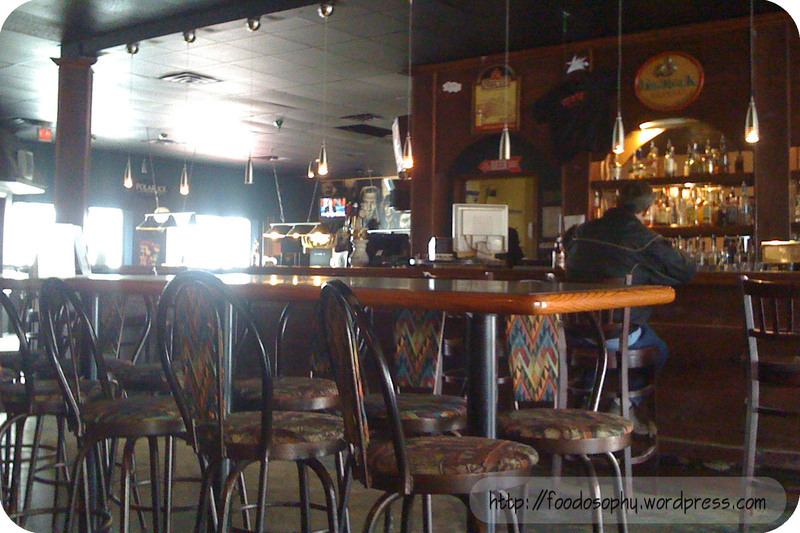 With only a few patrons at the bar, service was friendly and attentive. Skipping the tempting option of a liquid lunch, I ordered the steak sandwich special for $9.95. We were going to ask about the advertised “free lap dance with your beer”, but this was obviously an inside joke, we weren’t privy to. Years ago my gullible self was suckered into purchasing a timeshare, and every year I find myself receiving a letter informing me that my unused points will expire in a couple months. This subsequently prompts me to search online for some last minute resorts close to home so I don’t let too many points go to waste. 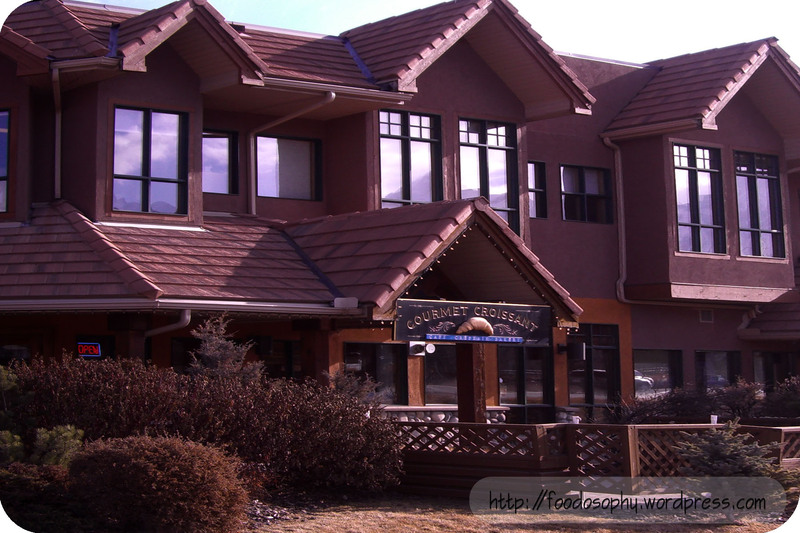 Fairmont Hot Springs, located in BC’s Columbia Valley, has the largest network of timeshare resorts in Canada – which made it easy to get a spot on this particular week. As we enjoyed an unusually warm winter this year, this trip turned out to be quite nice. Arriving just after lunch – we stopped into this cozy cafe for a quick bite and a coffee. I will admit, that I am not the biggest coffee connoisseur, but there was something about this latte that I thoroughly enjoyed. The extra wide cup always seemed odd to me (from a thermodynamics point of view), but I’m sure someone has a theory that it affects the flavour. Regardless, after our six hour road trip, this hit the spot perfectly. Caputo ’00’ flour from Italy, tomatoes from the Campania region of Southern Italy, fior-di-latte mozzarella ,fresh herbs, and 900F – does make for very good pizza. The ‘Famoso Story’ tells of their training with the Associazione Verace Pizza Napoletana but like others in Canada (i.e. Pizza Prima Strada), they have not registered with the VPN. For Famoso, this could possibly be difficult due to the franchise structure of this organization. Entering any one of their establishments – first find yourself a table. Peruse the full menu of salads, flatbread, pagniotielli sandwiches, pizza, gelato and tiramisu imported from Italy. When you’re ready, proceed to the counter and place your order (remember your table number). As I started writing this post, I noticed that fellow Edmonton blogger ‘eating is the hard part’ was also through this restaurant recently (and quite possibly the same day, a few hours apart). While he took the adventurous route, we stuck with the better known classics. Our dinner started with the same trio of banchan: savoury sprouts, sweet daikon, and spicy kimchi — all good. I have a secret obsession with Pajon, a.k.a. Puchingae. Shokutsu probably has haunting memories of me dragging him through the streets of Seoul into the wee hours of the night, in my desperate hunt for a quality vendor (with only hours before my flight out). The hunt in Seoul was a success, but this local option was fairly basic – with green onion, squid, egg and a vinegar based dipping sauce. It is an acceptable base representation, but sadly not great.